Despite all attempts to alert us to the environmental problems facing us, some people still do not give any consideration to what happens to the waste they create. It seems that once they have rid themselves of their refuse, be it newspapers, plastic containers, tin cans and such like, they never stop to think what happens next. They absolve themselves of any responsibility for it, and out of sight is out of mind. However, disposal of rubbish is everyone’s responsibility. For too long the human race has thoughtlessly continued to pollute this planet and, although it may seem drastic, the truth is that action is needed now if the human race is to survive. Landfill used to be seen as the answer to waste disposal. After as much of it as possible has been reused or recycled, the remaining refuse is tipped onto or into designated sites, which need to be carefully managed in the hope that in the future, long after the landfill has ceased, the land will once more be used for other purposes. Carbon Dioxide and Methane are two harmful gases which are released into the atmosphere from landfill sites. They are produced as microorganisms within the waste interact and close monitoring is needed as there is the potential for these gases to be highly hazardous, both locally and globally, in their pollution of the atmosphere. ‘Leachate’ is a liquid which is produced as rainwater mixes with the organic degradation which is taking place within the landfill waste. Its potency varies according to the composition of the waste but ‘leachate’ also has the potential to be acidic, highly odorous and toxic. It is essential that landfill sites are engineered and managed in order to prevent the excessive pollution of the site. It is necessary that systems are in place to deal with excess ‘leachate’ and hazardous gases, often requiring transport away from the site to be dealt with elsewhere. In recent years, we have become more aware that urgent action is needed to tackle the growing environmental crisis facing the human race. 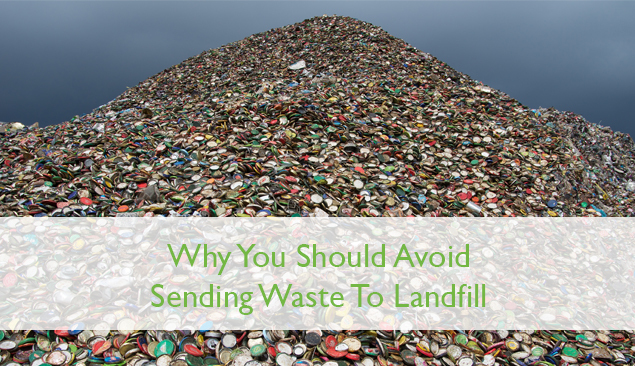 Landfill sites do not solve the problem, merely add to it, and careful management of them is of vital importance. Waste management and disposal remains a huge problem and is vital that we do reuse, recycle and reduce to minimize the amount of rubbish we create.